I’ve been thinking long and hard on the issue of Roseanne spouting a racist rant and having her show cancelled, but I wasn’t sure what to say about it. I’m a staunch defender of the First Amendment and not just when it comes to speech with which I agree; that’s easy to defend. No, it’s the speech with which we disagree, the speech we outright hate that has to be defended the hardest. That’s intent of the First Amendment. Did Maher go too far? I remember years ago, 2002, I think, Bill Maher said he thought the 9/11 hijackers were brave. Many people were outraged. At the time, he had a show called Politically Incorrect, which ran on the ABC Television Network, which cancelled the show, almost immediately. In February 2003, Maher moved to Real Time with Bill Maher, on HBO, where he’s been ever since. I totally disagreed with what Maher said. Fanatical believers, brain washed and partially trained as flight crews drove those planes into the World Trade Center, Pentagon and a filed in rural Pennsylvania; bravery it was not. The all-male crews were convinced that doing what they did was the fastest lane to paradise and seventy-two virgins. Heck, if someone could convince me of that, truly make me believe that was my fate, I might do something similar. Still, I’m not that stupid. The actual brave people were the first responders. They raced into the maelstrom, willingly and without hesitation, to try to save victims. They didn’t ask the religion or nationality of the people in need. They gave aid and comfort to anyone that needed it. That’s not only brave; it embodies the best of what it is to be an American. 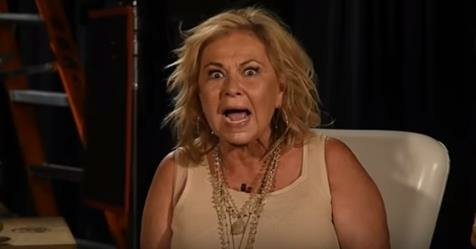 What of Roseanne, well, I’ll defend her right to say what she did but I won’t repeat it. As a person in the public eye, someone that makes a living entertaining people, someone that is influential, she must expect and accept the fact some people will not agree with her. Some of the disagreement will be rabid. John Lennon, of The Beatles, once said the band meant more to kids than did Jesus; that the band was more popular than gawd. Now, they didn’t say they were better than gawd. That didn’t matter, people took the comment negatively and a huge backlash resulted. Linda Ronstadt slammed for praising Michael Moore. In 2003, the Dixie Chicks said they were embarrassed that the then President, George W Bush came from Texas, as were they. Their career set back was devastating. In 2004, roughly half the audience, of 4500, left a Linda Ronstadt show, at the Aladdin Hotel, in Las Vegas, after she heaped praise on documentarian, Michael Moore, and urged the audience to see his movie, Fahrenheit 9/11; she was also fired by the hotel. Yet, Ted Nugent has spewed the vilest comments about President Obama, for more than eight years, and he’s doing fine. In his case, his fan base agrees with him and no one else ever calls him on his hate speech. Then there’s the aforementioned Bill Maher. He lost one series, but now has a hugely successful series on a cable network. Although I enjoyed Roseanne, both the original and the reboot, it was the right for ABC Television cancel the show. Do I agree with the decision? That’s a tough one. I think of the McCarthy hearings. How men and women, say, actor Larry Parks, had their careers and lives destroyed for what they said or didn’t say. McCarthy, edged on Trump mentor, Roy Cohen, even destroyed himself; hate has a way of coming back around. Yet, I have to come down on the side of agreeing with the action taken by ABC Television. Entertainers are free to say what they wish. Their fans and sponsors qua bosses and networks are likewise free to act on those words. If I were interviewing a prospective employee and he or she made it clear that she or he was a white supremacist, I wouldn’t care if he or she were the perfect candidate. I wouldn’t hire him or her. Say what you will and take the heat. Free speech is a double-edged sword. You can say what you want, but with your right comes the responsibility to accept the consequences. The First Amendment doesn’t protect anybody from repercussions.